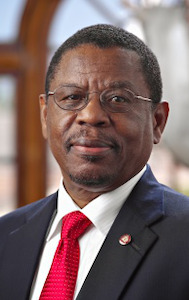 Dr. Henry N. Tisdale, the president of Claflin University—the oldest historically Black college or university in South Carolina—has announced that he will step down from his post next year. Tisdale, who was selected as president of the private liberal arts university in 1994 during the school’s 125th anniversary, will be one of the longest-serving HBCU presidents in recent history when he retires after 25 years on the job. Tisdale, who is also an alumnus of Claflin, has received high marks for his efforts to raise academic standards, refurbish the campus and ensure that all of its programs were nationally accredited, while actively competing against other institutions across South Carolina—and indeed the nation—for top students. In 2013, Claflin’s alumni-giving rate of 52.2 percent landed the school first for alumni contributions among HBCUs in U.S. News & World Report. Three years after his arrival, the university kicked off its five-year Capital Campaign with the goal of raising $20 million. The university surpassed the goal, raising more than $30 million and later raising over $105 million in another campaign. Student enrollment has doubled under his watch and by 2014, the university secured national headlines when Emmanuel Pressley beat out other students across the state to become South Carolina’s only Harry S. Truman Scholar. Growing up amid racial segregation, Tisdale’s personal story is nothing short of extraordinary. When he graduated valedictorian from a small high school in the rural farming town of Kingstree, South Carolina, he did not have many options. Once he stepped foot on campus, though, he knew that Claflin was the place for him. The day after he graduated from Claflin, Tisdale boarded a train north to Philadelphia to enroll in graduate school at Temple University and to teach middle school. He was confident that he was leaving South Carolina behind for good. After receiving a master’s degree in teaching mathematics and working for four years as a schoolteacher, he landed a teaching job at Delaware State University (DSU) — but knew that he would have to earn a Ph.D. if he were to have any chance of remaining in higher education. When he enrolled in a Ph.D. program in mathematics at Dartmouth in 1972, Tisdale was the only African-American in the entire graduate school, but received a rare opportunity to serve as a teaching assistant to Dr. John George Kemeny, a mathematician who also served as president of Dartmouth from 1970 to 1981. When Tisdale graduated from Dartmouth, he had already made up in his mind that he needed to return to DSU. Tisdale’s career took off at DSU. He quickly caught the attention of his superiors, including the college president, who, in 1985, recommended him for the American Council on Education (ACE) fellowship program that was created to groom individuals to become college leaders. Prior to becoming president at Claflin, Tisdale was senior vice president and chief academic officer at DSU.